Founded over 30 years ago in Przemysl, Poland, INGLOT Cosmetics is now one of the world's leading manufacturers in colour cosmetics. 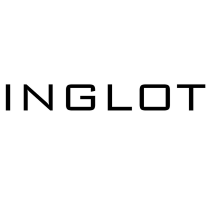 INGLOT currently has a presence at all major beauty happenings and events around the globe, from the runways of Fashion Week to the stages and sets of TV and Broadway musicals, such as fairytale PIPPIN, spectacular The Lion King, The Last Ship by legendary Sting, The Cripple of Inishmaan staring Daniel Radcliffe and Mamma Mia! based on ABBA's songs. The latest cooperations also include Finding Neverland, Something Rotten, Phantom of the Opera, and Gentleman's Guide to Love and Murder. The international expansion of INGLOT began in 2006 with the opening of its first franchise store in Montreal, Canada. Fast growth and development of the company soon resulted in becoming available in nearly 80 countries including more than 600 boutique stores. A wide range of colours and an impressive variety of products is something that makes INGLOT stand out of the crowd. The range consists of over 1,500 colours with over 450 ways to improve your lips, 600 ways to enhance your eyes, and over 300 ways to portray your face, while the extremely rich collection of nail polishes consists of up to 400 shades. INGLOT is famous for the Freedom System, which gives the freedom to assemble custom designed palettes to meet any beauty needs, and the revolutionary O2M Breathable Nail Enamel that ensures oxygen and water permeability. O2M Nail Enamel was created specifically for health reasons - not only is it fashionable and good-looking, but also leads to healthier and therefore even more beautiful nails.